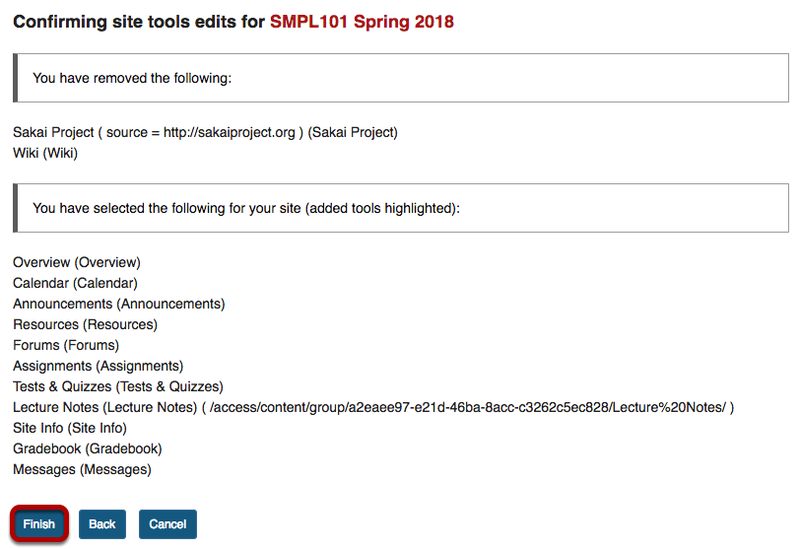 Sakai Guides and DocumentationSakai Complete User Guide Web ContentHow do I delete a Web Content link? Select Site Info from the Tool Menu in your site. 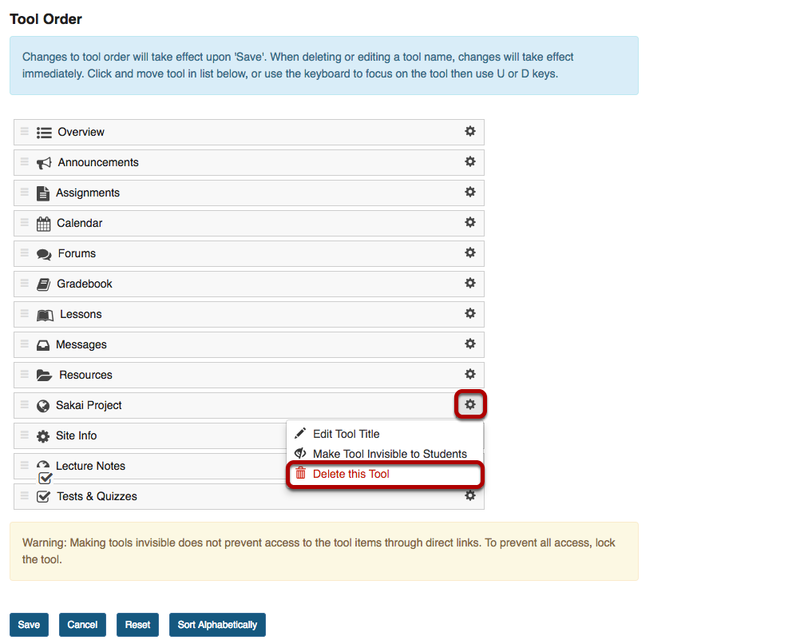 From Site info, you can delete a web content link from either the Manage Tools tob or the Tool Order tab. Zoom: Tool Order screen with the gear icon for the Web Content link highlighted and Delete this Tool highlighted from the drop-down menu.